Sign up now to learn and practice happiness skills with Jane in this video series coming August 2019. You will have access to all of the videos to practice at your own pace. Early bird pricing now until June 15th is $179. After that date, the price will be $259. Subscribe for Updates & Deals! Maybe you are feeling stuck, trying to make a choice yet uncertain which way to go. You may be struggling in a relationship and don’t know where to turn. Perhaps you’ve been searching for happiness—for relief from being unhappy too much of the time. Whatever your particular situation, there is an answer for you. This workshop is a deep dive into how to sustain and live your most resonant, happy life. The course will reflect the modules of the book, with 20 videos to watch and practice with. Life is interactive and learning how to live your happiest life is too. You will connect all aspects of yourself in this workshop: your mind, body, heart and spirit all work best together to create the life you want to wake up to each day. You will learn and practice skills to bring all of these together into balance and harmony to create a more peaceful and resonant you. Saying yes to being the happiest you can be is a gift you commit to giving yourself each day, and the Say Yes to Happiness workshop shows you how. Free Download of Jane's "16 Happiness Skills for You!" 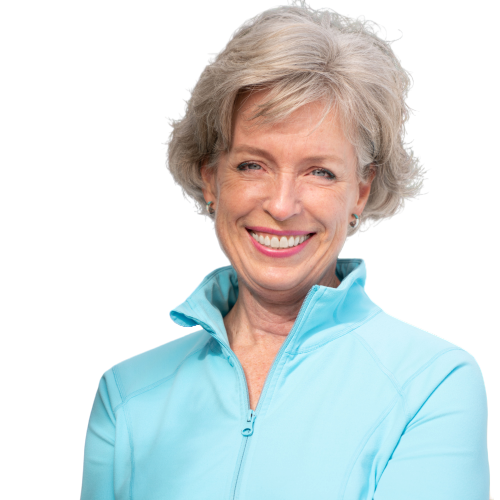 Jane Schreiner is the founder and creator of the Happiness Is A Skill program, which teaches people how to live in happiness through practice and intention each day.